In the preceding article we featured bird watching binoculars and scopes as great gifts for bird watchers. We are now going to look at what other items would be perfect for a bird watcher. There are many things a bird watcher uses while hiking and watching birds. Consider giving the bird watcher a waterproof field jacket or pocket vest. Field jackets and vests comes with many pockets that birders need for carrying items on their adventures. They can fill them with bird watching binoculars, large field guides, pen and notebook, phone, snacks, water bottles and who knows what else. The coat and vest features padded shoulders which helps when carrying their scope and tripod. The fabric in the jacket and vest should be of a breathable material. Or how about giving them a field hat for a gift? This type of hat protects the bird watcher from the sun and glare while in the field and should be lightweight. Look for one that has a mesh crown for ventilation and can easily be folded and packed flat when traveling. A binocular harness is literally a comforting present. The harness takes the pressure and weight of carrying binoculars from around the neck and distributes it evenly through the shoulders and back. A binocular harness makes hiking and bird watching much more enjoyable. A backpack is another present that can be considered for your birder. Many bird watchers camp out for days while on bird watching trips. They take food, water and many other valuable items with them when camping out and a backpack or field bag would be a great gift. The bags have specific compartments for binoculars, field guides and other needed items. Finally, bird watching books and journals are super bird watching gifts. Look for books that help with easy identification of birds. Journals are valuable to birders to keep track of the birds they spot. They even have software that can be purchased and installed on a phone instead of carrying books. 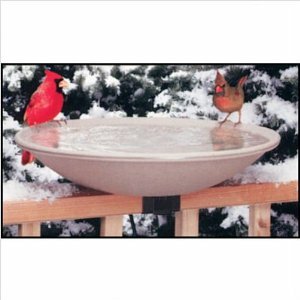 These are great gifts that any bird watcher would just love and appreciate. So check out the gifts that can be purchased for bird watching. They are going to be the best looking and best prepared birder out there!